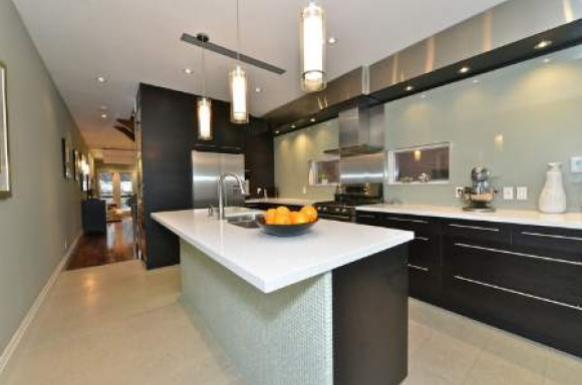 In May, I posted a a 2 bedroom house at 56B Clarendon that was listed at $1,299,000. Now the neighbour is for sale! 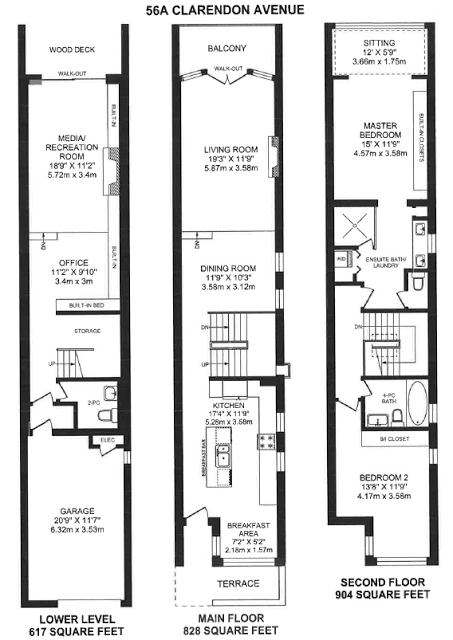 It is also a 2 bedroom but has a +1 (though I can't figure out where it is) and there are 3 bathrooms. It sits on a 16.67 x 150 foot lot. Like the other house, it is a good condo alternative but this house is darker. 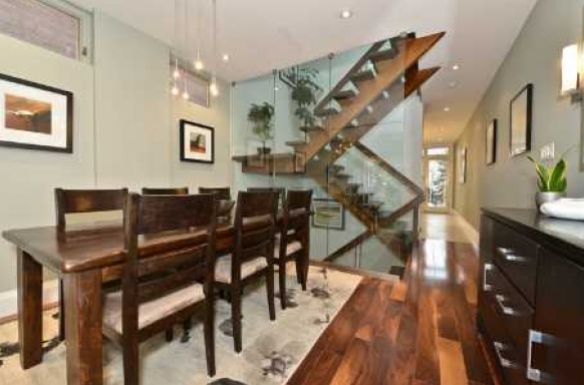 The cabinets are dark as are the stairs but that glass wall on the stairs brighten it up a bit. I like this house and I like the landscaping. I am just not crazy about having to walk through the kitchen to get into the house. The kitchen is basically the front hall. Otherwise, it is basically the same house as it's neighbour. That is why I find the price kind of high. It is listed at $1,549,000. I think this house could sell for mi to high $1.4s, even though the neighbour sold for low $1.4s only 9 months ago, but I don't think it will sell for asking.